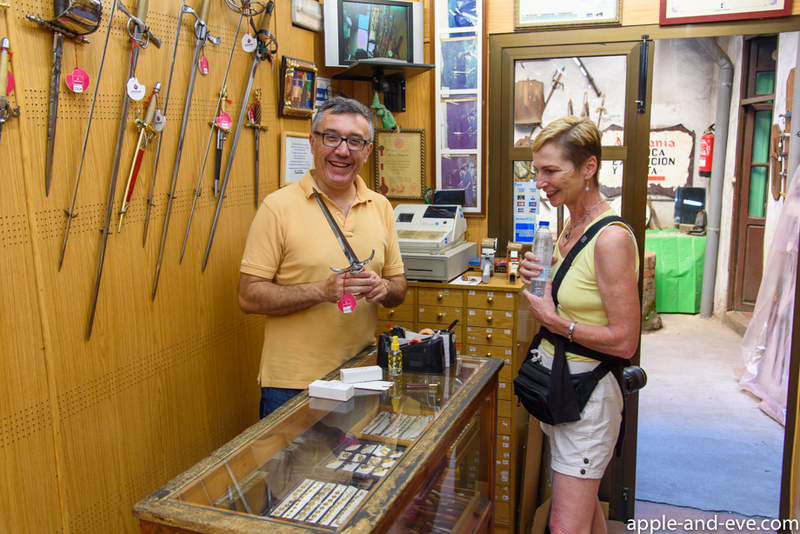 It is therefore not surprising to see many shops in Toledo selling all kinds of swords, knives, and daggers. Sadly though, many (if not most) of these are not the ‘real thing’, meaning that they are mass produced, and not necessarily in Toledo either. 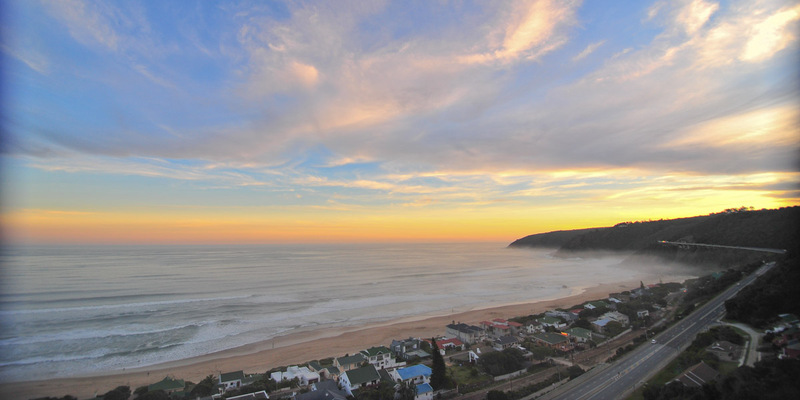 This is not entirely a bad thing, as most visitors simply want a memento of their visit to this beautiful city. 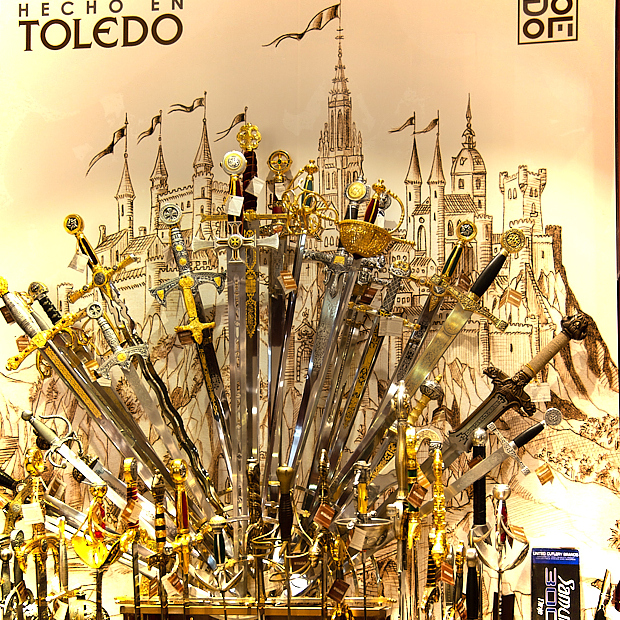 Knowing that we were going to visit Toledo, and both of us interested in knives and swords, we did our homework. 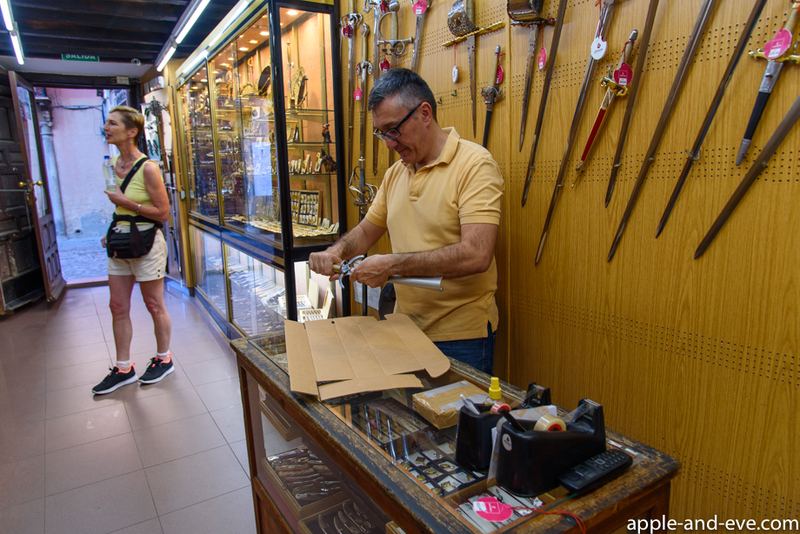 It did not take long to find out that the craft of sword making is (like most other fine craftsmanship) on the decline, and that there are really only a few places left in the world where these are still lovingly made in small quantities by hand. Toledo is just such a place! Most visitors to Toledo do not notice this unassuming door, and are therefore blissfully unaware of what is on the inside. However, having done my homework, I recognised it immediately and knew that we found the place that we had earmarked to visit. 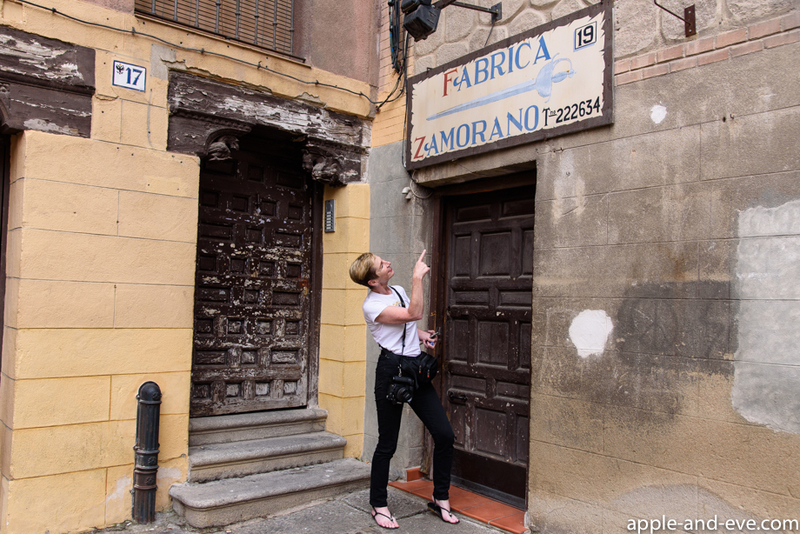 While roaming the streets of Toledo it did not take us long to find what we’ve been looking for, one of the few remaining factories where Toledo blades are still being manufactured by hand – Mariano Zamorano. Viewed from the street, this is the factory of Mariano Zamorano. We arrived at the factory late one afternoon and was warmly welcomed by one of the Zamorano family members. After some brief introductions we explained that we came quite a long way to visit this factory. 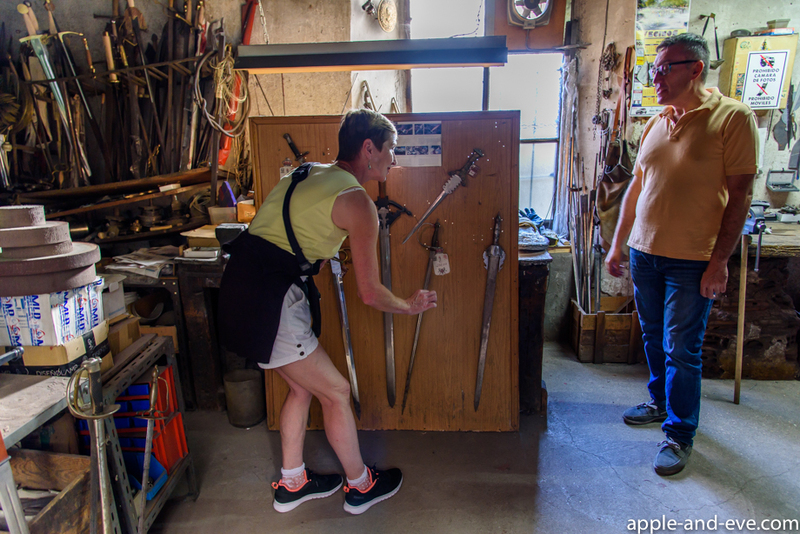 We were invited into the workshop to have a look around at how swords and daggers were made. The factory is entirely owned and run by the Zamorano family for many generations, just as it has from day one. The workshop was originally located in another part of the city, but relocated to the present premises many decades ago. 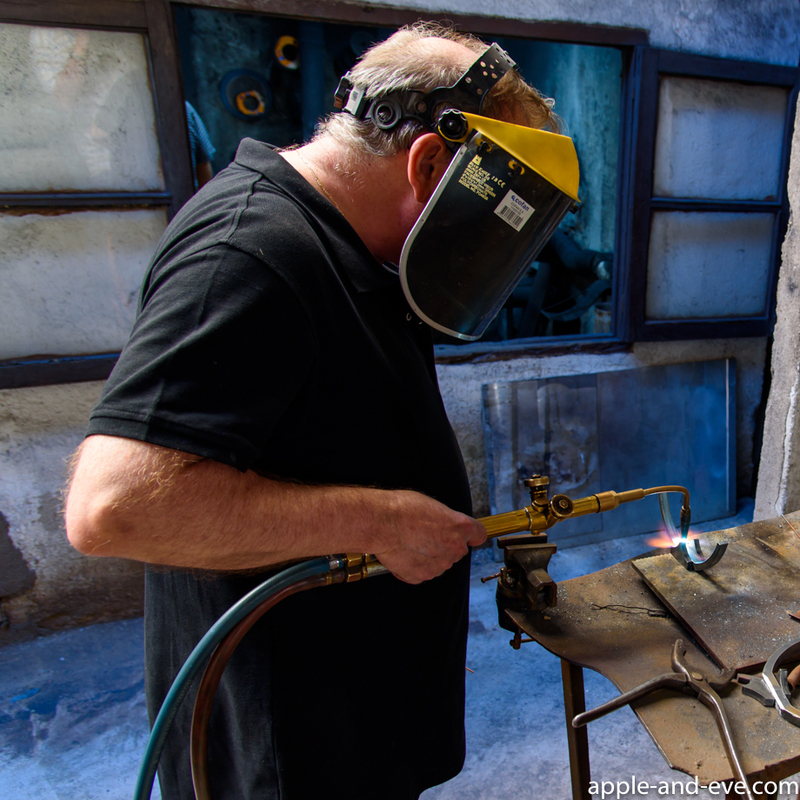 Everything is done here, from the original forging of the blades right down to the final finished product. The master craftsman at work. Normally photography is not permitted in the workshop, but we must’ve made a favourable impression and were invited to shoot some images. 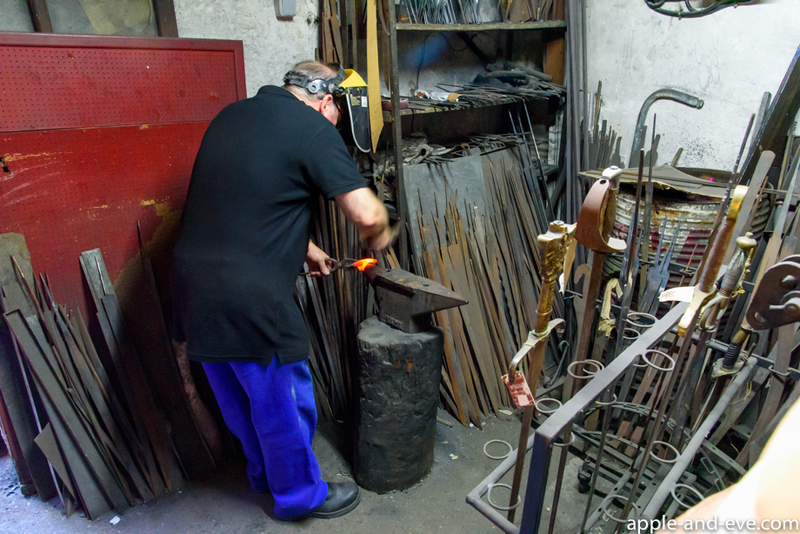 Being crafted by hand, Zamorano blades are produced in small quantities only. Should you want one, you will have to travel to Toledo and go buy it at the factory. They do not export, nor are the blades available anywhere else other than from this tiny workshop! Jaunine having an enthusiastic look around. 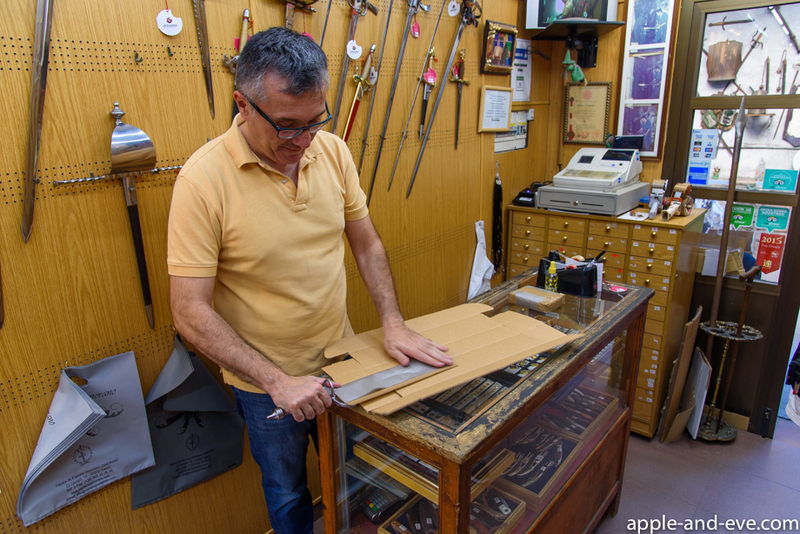 Toledo is quite proud and very protective of their handmade blades. Meticulous care is therefore made by Zamorano to furnish buyers with the proper certificates and documentation on every item purchased. Failure to have this documentation may result in the blades being confiscated by the Spanish authorities. 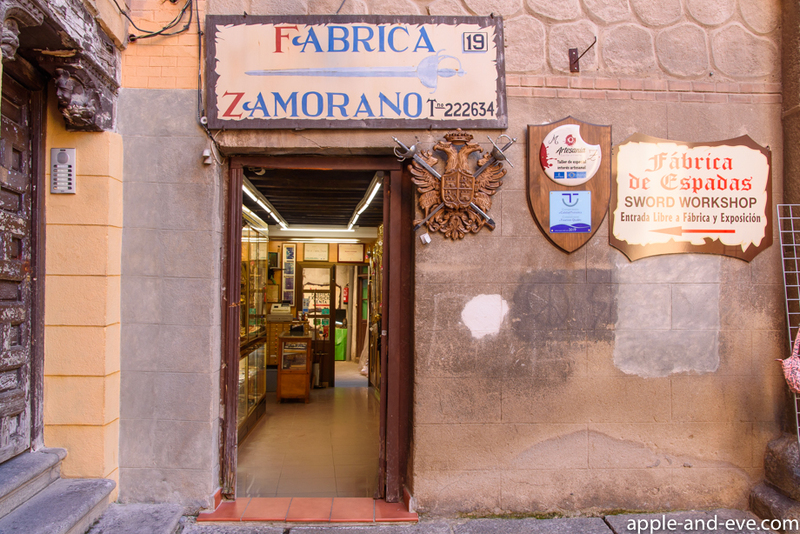 Visiting the Zamorano workshop was certainly one of the highlights during our visit to Toledo, and is highly recommended. The Zamorano family is very welcoming and rightfully very proud of their blades.